[EDIT] For new readers, you can skip to a summary of conclusions here. As automatic as possible camera-scanning approach for color-negative. I want to camera-scan my near infinite inventory of color negatives shot over the years, so it has to be as simple, fast, and automatic as possible. Good color, achieved largely with auto settings, not with lots of manual work. Not about resolution. I'm convinced camera-scans can produce plenty of resolution. 24MPx is plenty for my uses. And, you can always stitch for more pixels, so this is about color, not resolution. Not Camera-scan vs. Real Scanners -- Please don't comment here about how one should use a real scanner. I know, they do great, this is about how to do camera-scan with good results most efficiently. A Challenge, and a Prize -- To make this interesting, I'll give-away a good SLR film camera, ready to use, to the contributor who helps me the most. Minolta or Olympus, your choice. Maybe other possibilies TBD. 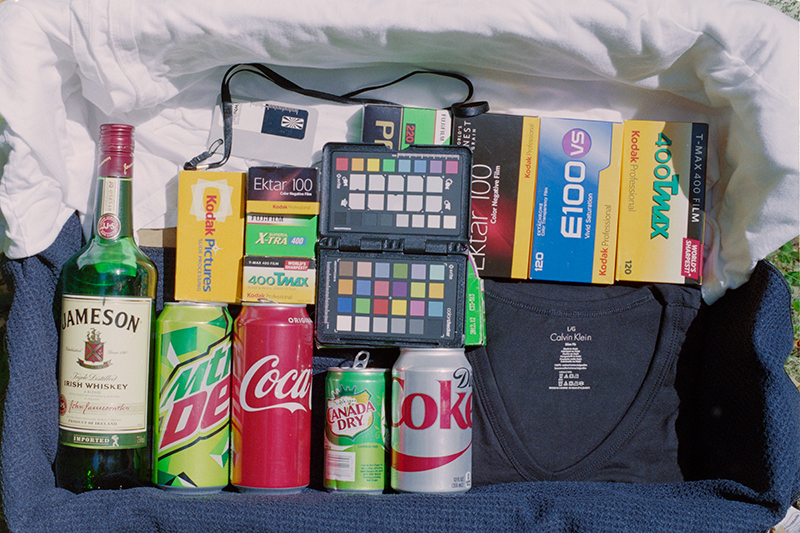 - I'll post a test shot, a test box of known colors, shot on color-neg film, then a RAW capture from the negative. We'll start with Fuji 200. I have a lot of negatives on this film stock. - You process the camera-scan file, describe your nearly-automatic steps, and show the result. - I'll post what I already know. - We'll discuss the best approach for this application: nearly-automatic processing of camera-scans to get pretty good color images. - Then I'll apply the best technique on a real image, maybe a tougher conversion, to see how we have done. You're invited to do the same on one of your images. This is my test-box, shot with a good digital camera in direct sunlight (October in NH). A color checker, some known saturated colors, very bright white, very dark black (espec. in the shadow). A good gray reference. That's a Sony A6000 shot, processed in Lightroom, preset = Camera Neutral. To me, this is a bit over-saturated, extra punchy, vs. the original box. That's the way vendors think we like our photos. I shot this scene at a good exposure on Fuji 200 film. Here's what the negative looks like. There's a link below to the raw file for processing. Camera-Scan of negative: Shot with Sony A7 with a good macro lens, on a Beseler Dual-Mode Duplicator, electronic flash illumination (i.e. the illumination was roughly daylight). No filtration. OK, go ahead, download the RAW file, process it. Post your result 800 pixels wide with a description of your nearly-automatic method. I'll post a couple of basics and let's see where we go. I'm interested in good color and good tonality; I'm not worried about resolution. First, we obviously have to invert the images. There's an "Invert" adjustment in Photoshop. This is the result. Not too pleasing, we'll have to do more. That, plus the gray eyedropper, produces this better result. It's better, but in my opinion not really up to par. The color and tonality are a little off. My thanks to @Huss for pointing this out and to Michael Fraser for a Photoshop action with this option. Doing Auto Contrast, Tone, and Color in PS gives you pretty much good color/tonality. I think people really sleep on PS's Auto commands for color neg material, especially well-processed, in-date film. Critical corrections can be made from there. As long as you don't clip anything in the raw camera "scan" it should be fine. The only thing I notice is a slight difference in the material on the bottom of the frame. The film looks navy blue, the digital looks dark gray/black. What is it really? What's wrong? Here's what I think: The film is non-linear, the RAW capture of the negative is very linear, counting photons. Simple inversion doesn't do the job, it whacks the tonality. How to do better with something that's nearly automatic? - Our final digital images are gamma encoded. Not a problem; we work from the raw file. - The orange mask means red clips first, then green, and blue is another stop down. I experimented with a cyan-magenta filter to offset the mask. I think it's not a problem; today's digital cameras have plenty of dynamic range. I got worse conversions with the filters; not sure exactly why. - The orange mask is complicated, not just an orange filter, the mask varies for technical reasons. But, I can't see a problem in this regard. Thanks, Corran, for the first reply! Yes, that's pretty good. You are absolutely right about clipping; that would mess things up. The textured dark towel at the bottom is bluish. The T-shirt is very neutral black. A member here, @Jzagaja, a Polish mathematician with interest in color science and sound, provided this non-linear inversion curve. You can get Jack's curve from this link. I think this is closer, maybe close enough, with better tonality. Corran, thanks for your suggestion of Auto Contrast, Tone, and Color. Done in that order, I assume. This gives a pretty good result, not that different from the Curves... Option-Auto previously suggested to me. I'll keep that in mind. Comparing, I do like this a little better than Curves... Option-Auto. Yes I normally do it in that order. Seems to work the best. Occasionally doing an extra Auto Tone changes the color slightly to something I prefer. 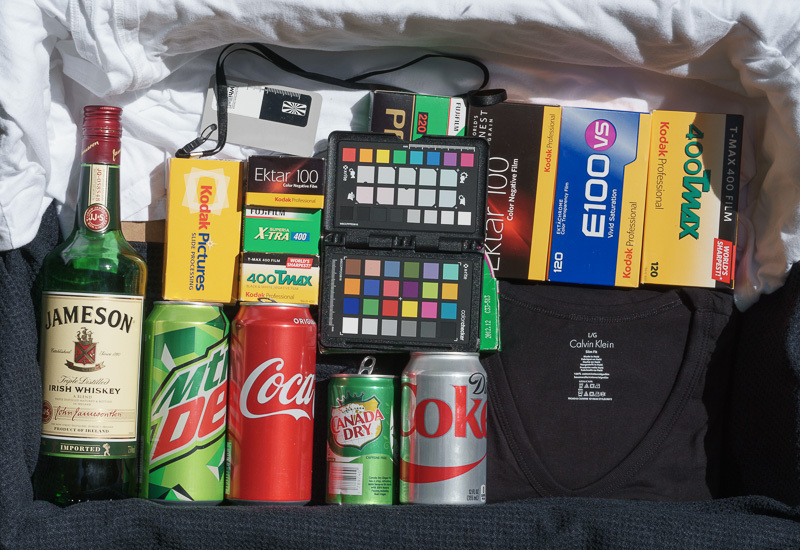 Check your film boxes, your soft-drink cans, and maybe your Irish whiskey bottle. What will give good color/tonality in an efficient process? G'night for now. Yes, I like this a little better than Curves... Option-Auto. When I do an extra Auto Tone at the end, I didn't like the results. Invert>auto tone>auto color>Levels to fine tune. Finish. Ray, that's very good. I like the Kodak gold and the Coke reds. Please say more about "Levels to fine tune." You adjusted the three color channels, right? levels. Used three pionts for colour, black and white, tuned with sliders. It's important to remember that colors are subjective when it comes to CN film. Different films have different inherent "looks" (higher saturation on Ektar, better skintones on Portra, etc. ), but you can wrench things around a lot otherwise. You can mess with levels, individual color channels, even hue/saturation to get to your desired color balance and hues. However, the way I'm reading the original post, the question is "what is the quickest way to get to reasonably accurate color" - especially an automatic or mostly so process. Is this correct? I have been using a Photoshop action that Luminous Landscape posted a fair amount of time ago comparing various methods for scanning negatives. Its one click of a button, looks pretty good to me! I clicked on one of my presets in LR, then exported to NikFX Color Pro and clicked on another preset with ProContrast, then reimported to LR and adjusted 'Blacks' under Tone. Your best bet would be to profile the film at the time you shot it, but that is out the window. Your next best bet would be to do a correction on one frame of the film in Photoshop then automate the correction to the rest of the roll. That of course will get you close, but it won't be perfect. Might just be good enough though, and if you shoot alot of the same film, could get you what you want. Even though this is not the fastest way at the beginning, it is going to be the best you will be able to achieve given the desire to automate as much as you can and still come up with a decent result. 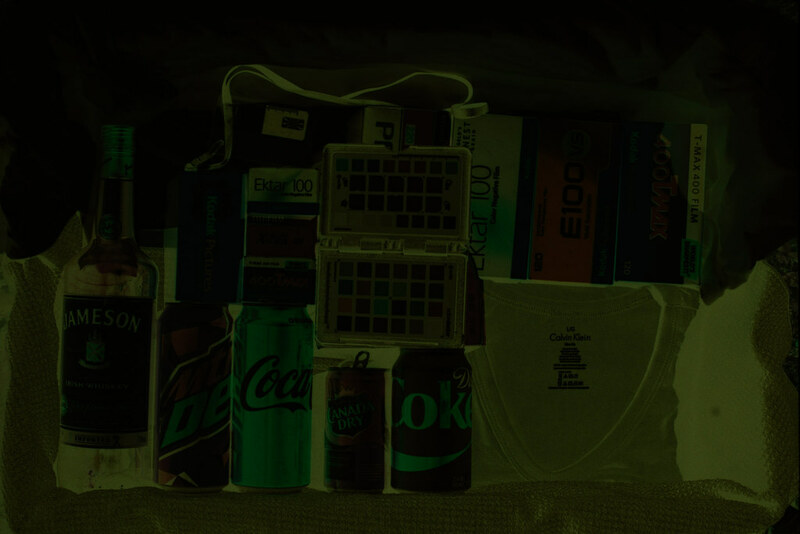 This was put into Lightroom to invert it and get the colors close without clipping. You can easily apply the steps to the whole roll. Then it was output to Photoshop, converted to LAB and split in two, highlights and shadows. They were each worked on individually with levels layers with eyedropper points on the target you included. This is as good as you will get as far as color accuracy is concerned. You can save the adjustment layers with this method and apply them to other frames with an action if you wanted. You could do the whole enchilada in Photoshop if you have the latest version. Take a sample of the mask and invert the color, then apply it as a layer over the image. Edit from there with layers. Automate the whole thing. I couldn't do that straight with your image since my older version of Photoshop doesn't recognize the file. If you need the color numbers for your target let me know. Your AdobeRGB file is one set and they change with different color spaces. It took me less time to work on your image than it took to write this post. 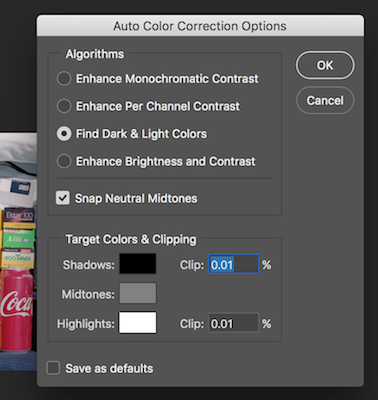 Anyway, here is the Lightroom/Photoshop version of your image which if your monitor is properly calibrated, you will find to be accurate to what was really there based on the target you have in the image. I'm learning a great deal here so I appreciate all the responses. That said, 4 mixers and bottle of Jameson? Keep the answers coming people! And a box of E100VS??!! I want you to adopt me! @meloV8, that's excellent. Kodak golds and Coke reds are very good. Fuji greens still a little off. MakeTiff is the Color Perfect processor, right? I haven't used Silverfast; did you choose any options? Tell Silverfast it was Fuji200? I believe good color/tonality requires some non-linear manipulation. I suspect that SilverFast and VueScan have this built-in. There's also ColorPerfect. MakeTiff feeding one of these programs may be a good recipe for automatic processing of camera-scans. @jkjod, I believe that's the Curves... Option-Auto I mentioned in #4 above. Yes, it's gets into the ballpark, and can be a base for manual adjustment. Blacks, whites are OK. But, I think it leaves the mid-tones too hot. Thanks, @Huss. That's getting closer. Fuji greens are about right. And, thanks again for the original pointer to Curves... Option-Auto. That's right, I want to process 40 years of color negatives, so I don't have color checkers in any of the source negatives. I could make a profile now for Fuji200 and apply that to all my Fuji negatives. Or apply it to ALL negatives, might get into the ball park. But, my history of shots is in all kinds of lighting. PRJ, do you have any experience of doing this with film shot in varying conditions? Sunny, beach, cloudy, flash? And, maybe some indoors. This was put into Lightroom to invert it and get the colors close without clipping. You can easily apply the steps to the whole roll. Then it was output to Photoshop, converted to LAB and split in two, highlights and shadows. They were each worked on individually with levels layers with eyedropper points on the target you included. This is as good as you will get as far as color accuracy is concerned. I get it; you've done more manual work than I want to. But, if I can package as a preset or action, that would help. I worry that, if this were possible, we would have seen a lot of people offering their preset. Instead, everyone who's writing about color-neg conversion is proposing one or another form of auto. There are color film terms used in the mini-lab machines, different for each film. And, color film choices in VueScan (some work well, some not). If you need the color numbers for your target let me know. Yes, I have those. Google finds a couple of sources. Looking for a test box with colors that lots of people would know. I decided on nationally marketed products. Yes, that's what I'm looking for, take the camera-scan shot, note the original film type, mention the film type to the software. Run the automatic process. Then black/white point, brightness, contrast, maybe click a neutral gray. That's the kind of almost-automatic process I'm seeking. Your image right out of Color Perfect looks like a good base for such manual adjustments. Greens, golds are good. Coke red isn't right, but maybe just +Sat would fix it. Thanks! Color Perfect has the most annoying interface, but the automatic options do pretty well. Question: Does anyone know, can I feed the output of MakeTiff into VueScan with proper interpretation? Yes, that's what I'm looking for, take the camera-scan shot, note the original film type, mention the film type to the software. Run the automatic process. Then black/white point, brightness, contract, maybe click a neutral gray. That's the kind of almost-automatic process I'm seeking. I think the key is, as so often, the first step. If you don't start with demosaicing the raw file to a non-inverted linear file, I think you will fight colour casts and neon colours left and right as you can see in the above examples (except meloV8 who, unsurprisingly, started with maketiff). Resulting files are almost indistinguishable (Vuescan got lucky on this one ). That is your ideal flat file that has all the information captured from the negative and colour integrity preserved. This "all auto" example looks good to me, but I'd like to see more DSLR scans processed properly and scanner vs. DSLR side-by-side comparison. @brbo, now you have my curiosity... Can you share any about this magic inversion process from your wizard friend? Yes, I can duplicate that. Vuescan... Input = file. Color negative. 48bit RGB. Color... GENERIC COLOR NEGATIVE (or Fuji 200 works just as well). Color Balance = Auto Levels. I have the bring the brightness down a bit, then I have just what you posted. Color Balance = Manual, click on the gray card works too. This looks like a pretty workable solution. I don't mind adjusting black, white, brightness, saturation, just as I do with most digital captures. MakeTiff -> ColorPerfect works well too. I don't have Silverfast to try that. - Then feed this to VueScan, Silverfast, or ColorPerfect, 16bit tiff output. - Save as jpg, bring that into Lightroom. - Delete both the large tiff files. - Keep the RAW as my "digital negative". These are better than a straight "Invert" because they've thought about how to process the color from a color negative capture; they're doing a better job than the linear inversion. BTW, pretty good cam-scan from A7. I've experimented a bit with it but couldn't justify the timely process of taking the photos. Yes, MakeTiff from Color Perfect. In Silverfast i make own film profile, based on xrite gray points. Vuescan does not have Silverfast color negative editing capabilities. He said he's got no problems releasing the code to public. From reading the code I can see that he's obviously got some gui somewhere (but that's probably just for his use). Do you prefer that route to ColorPerfect? vs using MakeTiff? Yes, would love to have a description. Code is up to your friend, but a description would be interesting. In short, I prefer colorperfect with the route I take with my scans. Maybe I've used maketiff a handful of time. But, To be honest, I usually try to maximize scan quality as much as possible before I use colorperfect. Plus I try to not assign a color profile unless I'm absolutely sure I have a color target preset created. Plus, I wouldn't change a file from 8 to 16 bit unless it was being converted to black and white image. BTW, I'm not talking about changing from 8 to 16 bit. I start with 16bit and keep it until ready for a final rendering to jpg. I'm getting excellent cam-scan captures, more about the setup, lens, etc. in other threads. For something really radical, I think we'll soon be getting good cam-scans with our smart phones (w/macro lens, of course). Results: Pretty good. Kodak yellow looks good. Coke red is a little purple. Fuji green a little hot. But, could work. Maybe a touch of dehaze or clarity in LR would do the job. Testing in LR, I would also +Sat for Red. YMMV, and may be a matter of preference, but I think I prefer the result using MakeTiff to go to ColorPerfect. - I first did the CameraRaw conversion at 8bit. 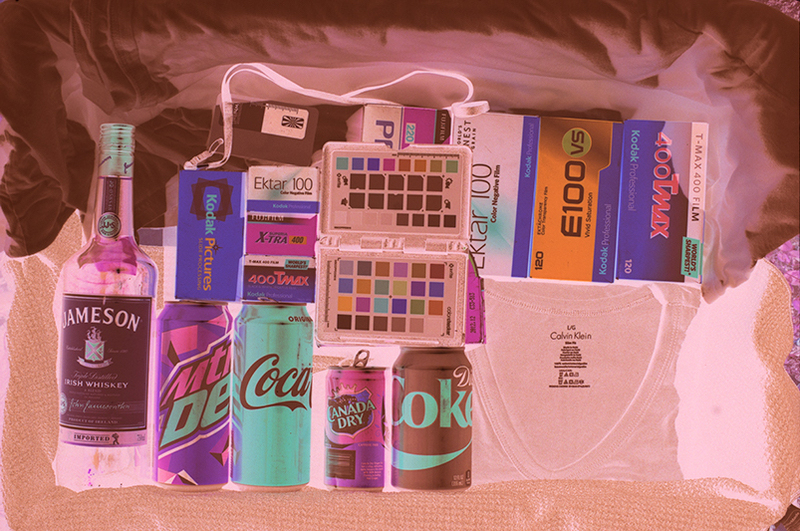 Color Perfect objects violently to processing an 8bit image. Use 16bit. - The combination Auto-Contrast, Tone, Color seems to be the same as Curves... Option-Auto, with the settings in #4 above. I did both in this processing and I cannot see any difference. This is all auto. If I lower the brightness a bit, it's very close to @DKimg's post.